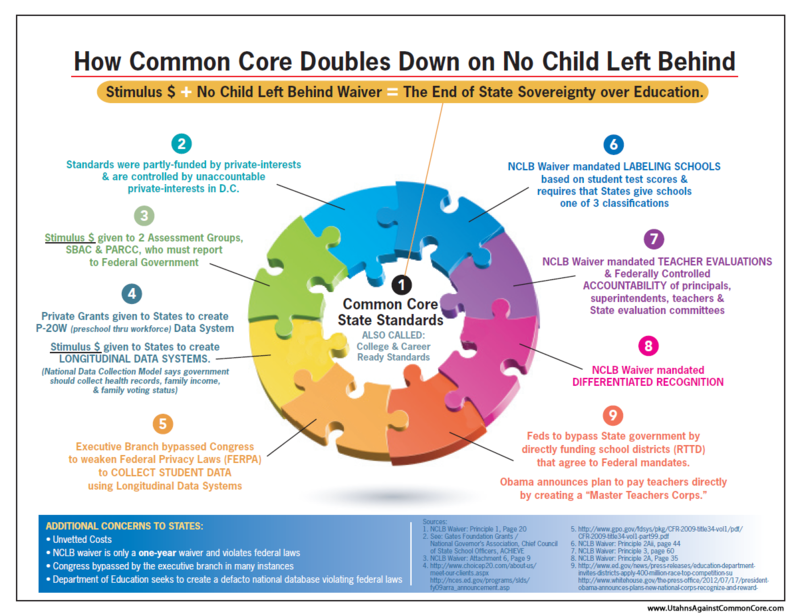 Missouri Education Watchdog: Common Core Promises Educational Equity. A Teacher Responds: "Bullspit". 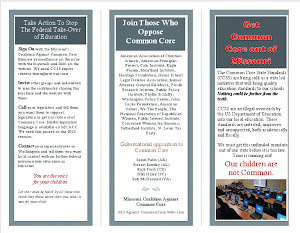 Common Core Promises Educational Equity. A Teacher Responds: "Bullspit". This won't happen in Common Core. So what is equity all about? To drag expectations down for all students? Question: How is equity addressed in Common Core? This is a question that created thoughtful discussion and Nakonia Hayes, author of John Saxon's Story, a genius of common sense in math education, provided interesting stories on her experiences of teaching in a minority setting. One of John's quotations is, "Results, not methodology, should be the basis of curriculum decisions. Results matter!" I used his materials successfully for years with all groups of students. What does Hayes think about the idea of equity in education reform? Will Common Core increase or decrease equity? You're right about cultural issues, created from family values, impacting students' success. Asian/Indian students reportedly do better because of their families' cultural attitudes toward education and not bringing disrespect to their family with failures in school. I'll offer a view of the program we had on the Spokane Indian Reservation in the 1990s. (Actually, the same program later worked with my upper-middleclass students in Seattle who were making terrible state scores in math and writing.) The "basics" that we offered were simply good curriculum and well-trained teachers in content. That means we provided traditional, historically-proven, and user-friendly curricula to make up for teachers who were trained poorly in subject content by schools of education. We got rid of staff who refused to change their fuzzy attitudes and who wanted to enable the mistreated child to "rise above his victimhood." An Indian kid, a junior in high school, said to me one time, "I can't get ahead because of the white man." I told him that was bullspit and I never wanted to hear it again. He was to get smart enough to go through, around, under, or over any closed door! Never would I allow students to blame their lack of success on their color, gender, someone else, or their economic status. 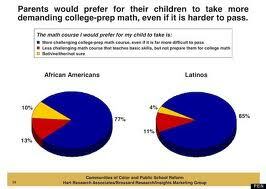 This is the reality of working with children of color or different races and those from deprived home/parental resources. You walk a fine line as a teacher in these cases. On the res, we had to understand tribal law, federal law, and state law, and still get kids headed to jobs and/or college. We did this not by focusing on cultural understanding in our lessons with lots of differentiated instruction for self-esteem development. We focused on user-friendly academics they (and many parents) could understand and later use in "critical thinking" skills. We spent a lot of time--a lot of time--with parents whenever and wherever we could meet with them to show we were trying to give their kids power--real power--to make decisions that would be good for goal planning and decision making. If they stayed on the res, it was because they CHOSE to, not because they couldn't survive anywhere else. This is long, but I'm on a roll this morning. Hearts of all kids are set on fire by teachers with consistently high and honest expectations (with that also from parents) AND with good teaching materials that show clear results. These produce true success within the student's academic life, which propel him/her to take on new school challenges. Good intentions are the basis for government work and do-gooders; real, measurable results are what matter to most of us, including kids. A couple of stories: One black high school graduate told me he thought I was the meanest thing on two feet (teaching Geometry) until he passed his SAT. I had told him repeatedly that he was being lazy and it was unacceptable. The fact that he stopped me in a parking lot to tell me about his success was truly a powerful moment for us both. In another situation, a black mother told me that I was prejudiced. I responded, "Damn right. I don't like mothers who don't take care of their children. Your son needs help, so sit down and listen." She did. Now I tutor K-8 students. I recently had to have a strong talk with a Hispanic grandfather raising his grandson. The kid is pinging off the walls because he is truly (and I say truly) exhibiting ADHD behaviors. Grandpa isn't buying it. He will have to, eventually. You see, it's about how it reflects on him; it's not about the child. As I told him, I don't hand out labels easily, but when I do, I want my opinion considered thoughtfully in terms of the child. I love being 73 years old with 33 years in educating children K-12 (and 19 years in the real, increasingly sad, world of journalism). And--big surprise-- have little use for the leaders of our education system today. They are committing professional negligence and child abuse when they won't stand up to whining and do-nothing parents, no matter what their color or background, and to schools of education that send them weak teacher candidates who may also choose not to get better at their jobs. Teachers and preachers don't go into their professions to make money. Many do go into it, however, for the prestige of lofty positions of authority (that usually bring power and money). 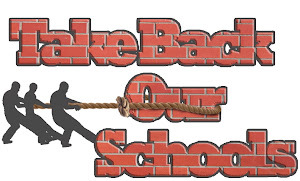 As a former principal, I say bullspit to that notion of not remaining a teacher at heart. A teacher with actual teaching experience gives her advice on what will help make students successful. Common Core proponents offer theories and promise a common education is the key to make all children successful. Who do you want teaching children? Teachers who make curriculum decisions aligned to Common Core assessments or teachers who make curriculum decisions based on results for individual students? Do we want teachers who want children to be "common" or teachers who want children to reach their full potential?